Since she was a child growing up in Ecuador, Paola Barriga has been interested in plants and their interactions with insects. This was the focus of her research before coming to the University of Georgia’s Odum School of Ecology to focus on the regal monarch butterfly as well. 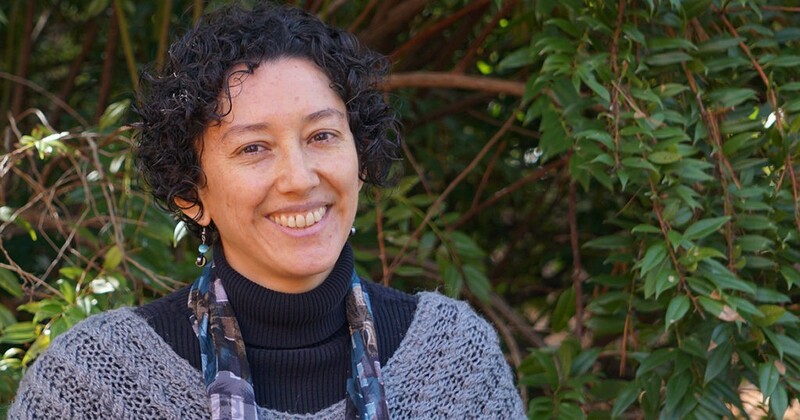 Barriga currently works as a postdoctoral associate with UGA Athletic Association Professor Sonia Altizer at the University of Georgia’s Odum School of Ecology, studying the migration of monarchs in relation to the growth of milkweed in their environment. “With global climate change we could expect a change as to when the plants are becoming available to caterpillars or flowering, and it’s very synchronized to the breeding season of the monarchs,” said Barriga. This has a detrimental effect on the species’ famous migration every year. It could also be responsible for an increase in disease affecting monarch populations. Monarch butterfly caterpillars feed only on milkweed, which can be infested by the protozoan parasite Ophryocystis elektroscirrha (OE). Barriga and Altizer are cooperating with colleagues in Boston trying to understand how this, in addition to climate change, affects the growth and reproduction of these butterflies, because OE tends to be more prevalent during the butterfly’s breeding season. Barriga said that a warmer climate could mean a longer growing season for the milkweed, thus a longer breeding season for the butterflies and more opportunities for infection. The research done by Barriga and the rest of the lab has been important in the expansion of a citizen science project called Monarch Health. Barriga is in charge of the project website, a portal to resources for citizen scientists to help them identify OE in monarchs in nature. Barriga also works as an internal evaluator in the Interdisciplinary Disease Ecology Across Scales (IDEAS) doctoral training program, compiling data to help with program assessments. In addition to her research, Barriga teaches an undergraduate biology class. She also works extensively in the community through programs like Insectival, the annual family insect festival at the Botanical Gardens, and leads virtual lab tours for high school students. Barriga says it is important to her to share the significance of monarch butterflies with students and the general public in hopes they will be inspired to help conserve them. She says she sees a lot of people who are passionate about rearing the butterflies and wants to make sure they understand the science behind what they’re doing to ensure the best outcomes for monarch butterflies. Finally, Barriga said she hopes to see the Georgia Museum of Natural History play a large role in education and outreach about monarchs. “In the future I hope the museum receives enough support to have a larger space so it can be used as a venue to do more education and outreach in general,” she said.